Dellors writes on how Frankie Boyle is being made an unperson by Channel 4 "He is not under contract and there are no shows planned with him." following him tweeting some jokes about the paralymics. As a gentleman of a certain age I saw this Monty Python sketch when it was first broadcast. I think one can say with confidence that if they tried it now the Pythons would instantly become as much media unpersons as David Bellamy. I think one can also say that proves we are far less free than then. 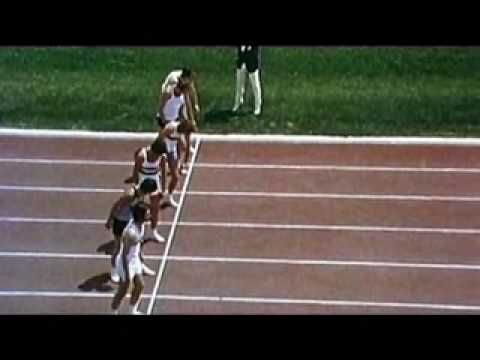 I always remembered the reaction of the 1500m runners to the firing of the starting pistol. This stramash seems to be being pushed by Mencap who have specifically called for him to be censored from the airwaves - "It would be disappointing if these steps were undermined by providing a comedian who has repeatedly caused profound offence to disabled people opportunities to do so again." Mencap, of course, does not consist of disabled people and cannot honestly claim to speak for them. In fact it looks like there is only one group Mencap can speak for. Yes, while Mencap claims to be a charity it's own site says nothing about who pays them and does have a link through which you can donate it is clear that Mencap is yet another government funded sock puppet. The fact that their donations icon is less central than their "come and work for us and help build our bureaucratic empire" icon. Bodies doing real charitable work with limited money don't have their priorities in that order. Bodies whose main activity seems to be running "campaigns" of "raising awareness" about how their bosses, the state civil service, should have ever more money do. Such sock puppets, particularly where the ever more totalitarian state also owns most of the media and will promote whatever they say, actually benefit from the publicity of saying, in a po-faced manner, how seriously they oppose free speech. The fight against free speech is not being run by people who have principled support of censorship but simply by those who find they fit more comfortably into the totalitarian state structure by adopting such fascism. I have emailed Mencap to see if they deny being government funded promoters of fascist censorship. We will see if they can. Q: Are we "government funded promoters of fascist censorship"
A: No, our campaigns are not government funded. We receive funding from local authorities for the provision of care and support to individual people with a learning disability, and some grants for work we do in the community working with young people. Our campaigning work is entirely funded by donations from the public and other fundraised (non-government) income. If you look over our campaigns, such as 'Death by Indifference on ending avoidable deaths of people with a learning disability in the NHS, or our 'Stand by Me' campaign to end hate crimes against disabled people, you'll see we are an independent voice that challenges government and public services to meet the needs of people with a learning disability and tackle unlawful discrimination. Q: Is Mencap calling for the "totalitarian fascist suppression of free speech"? We have expressed our views, as we're entitled to do, about Frankie Boyle's comments, which is that they are offensive to many disabled people. You might want to note that we have not called for him to be sacked from Channel 4- it's their choice who they employ, but we've expressed our view that it would be pretty incoherent of them to host the paralympic coverage and then give a platform to someone who spends much of his time on and off stage denigrating disabled people. I would have been more impressed by a full breakdown. ASH has also made the same claim that their campaigns are behind a Chinese wall separating them from the government funded charitable work they do - despite the fact that ASH is 98% government funded & does virtually no conventional charitable work. I have no doubt that ASH are being wholly dishonest in making this claim. Mencap are certainly better than the 98%+ sock puppet ASH are but how much better is still undetermined. On the second point readers may form their own opinions about whether saying it would be "disappointing if these steps were undermined by providing a comedian who has repeatedly caused profound offence to disabled people opportunities to do so again" is a call for him to be censored by C4 or if there is some other undetermined meaning in these words. I absolutely accept that if Mencap were an organisation wholly independent of government it would have as much right to call for censorship as anybody else. It is an entirely different matter for government funded bodies. "This meeting believes there is no evidence of catastrophic warming remotely as catastrophic as the regulations, taxes and other costs imposed to ameliorate it". Tuesday 30th October 7 00 for a 7.30 start. The good news is that, as well as the previously confirmed Andy Montford (Bishop Hill blogger) is that Lord Monckton has also confirmed. Since Lord Monckton has been a leader of the warming sceptic movement for years, speaki9ng before large audiences worldwide, and being interviewed by broadcasters worldwide, except the BBC; and attracting millions when a number of his videos have gone viral worldwide, except on the state owned BBC; written numerous article published worldwide, except by the BBC and British media; and is acknowledged as one of the smartest people in British politics, except by the BBC state propaganda service. Also the guy who came up with the concept of selling council house - which allowed millions to own there own homes, free from local political bureaucrats. And which so changed British aspirations that statist politicians of all parties were forced to say how they now agreed with it, at least until they had been elected. The bad news is that, with the exception of the greens who openly say they don't do open debate, the other Holyrood parties haven't replied. With 129 Holyrood MSPs and a unanimous vote for the world's most expensive and restrictive "climate change regulation", designed to cost this generation of Scots, their children, grand children and great grandchildren several trillion pounds it would be strange indeed if every single one of them refused to explain why they think this is necessary. An Inconvenient Truth would be shown to secondary school pupils. Ross Finnie, the environment minister, said he felt the status of Mr Gore would ensure pupils listen to the message of the film, but was sure they would make their own minds up about it.. He dismissed any suggestion that the film was political propaganda, saying there was firm evidence of climate change and that anyone disputing it "has got to be on planet Mars". Now it may be that the people hiding out on another planet are the very MSPs who legislated this act. It seems to me obvious, indeed axiomatic that, in a free democracy where political decisions are made by rational discussion any political movement which refused to engage in rational public debate with those putting different views would be giving itself an unbeatable handicap and could never persuade more than a tiny minority of any new idea. I don't know if any of our MSPs would dispute that? If that is true and it turns out that most MSPs simply refuse to debate 3 things follow with logical certainty. 1 - That none of the MSPs who refuse to frely debate care about liberal democracy (not least the "LibDem" ones). 2 - That they know that the warming scare story, they are using to deprive us of trillions of pounds is an obvious fraud which cannot survive even a short investigation. 3 - That this scare story could only have become widespread (as did each of the hundreds of previous environmental catastrophe stories all of which proved to be largely or wholly untrue) if it were being deliberately promoted by a corrupt state media monopoly (70% dominance is the legal definition of monopoly & the state owned BBC & C4 have more than that in news coverage) engaged in suppressing free debate, censoring any dissent dissent on the warming scare & using it to promote big state totalitarianism in a manner long understood. If any alarmist believes the assumption is not obviously true or the conclusion does not follow automatically from it, or it is disputed that the BBC monopoly has censored dissenting views from the airwaves, doubtless they will be able to explain the error logically and factually. If there is no such error all 3 conclusions cannot be avoided. Britain recently did magnificently in an important international competition. By one measure we came 3rd, after the USA and China and per capita far ahead of both. Also per capita ahead of everybody else except a handful of relatively small countries. By another measure Britain came second. Scotland, per capita did even better Placing well ahead of the whole UK and in either 1st or second place for any country. No not the Olympics. It is a competition far more important than that. Though you won't see it reported. I'm talking about the international measurement of scientific citations. The accepted best method of determining the importance of scientific work is the number of citations achieved in further papers, which are thus acknowledging that they are indebted to the cited work for its original research. Measurements over the period 1996-2010 show that, as with Olympic Gold medals, Britain places 3rd in the world after the USA and China. We had 1.5 million influential cited scientific papers, as against China's 1.8 million and the USA's 5.3 million. Without any equivalent of playing to a home advantage. Per capita that is 24,725 citations per million citizens (the US has 16,949 and China 1,360) . Per capita worldwide only Switzerland, Sweden, Finland and the Netherlands do better and only Switzerland, with its extensive medicines industry, by a significant amount - 32,505 per million with a population of 9.5 million. But as with the Olympics it matters how you look at the figures as I have here and then here. In Olympics we fall behind Russia if we look at total medals, which is probably statistically more valid than simply looking at Gold. With science the equivalent of that could be looking not at the number of papers cited but at the total number of citations. Then to really get to the nitty gritty lets remove "self-citations" which are more common in some countries than others - In America and China half of all citations are by the paper's authors themselves. In Britain and most other countries it is under 1/4. This makes a difference. Britain gets a total of 180,600 or 300 per thousand. The US has 53,800 which is only 172 per thousand. China falls into a relatively poor 13th place, just behind Switzerland with 4,460 (behind Sweden and Switzerland). In per capita terms that is only 3.3 citations. The listing referred to above shows only the figures for entire countries. This one, for a somewhat different time period but still compatible shows Scotland having total citations of 1,709,184 compared to England's 10,508,202. Combining the 2 as a fair approximation to the UK total is 12,217,386. Scotland's population is 5.22 million while the combined Scots/English one is 58.22 million. That means that Scotland is producing citations per capita of 156% of the UK average. Extrapolating that onto the world figures given previously gives us 36,571 documents cited putting us well ahead of even Switzerland while on independent citations, we have 468 per thousand, this time behind Switzerland's 653 but ahead of every other country. I'd call that joint first in the world. The homelands of James Clerk Maxwell and Einstein should be far more proud of this than of sports proficiency (though we both do well there too). It is something for Scotland to be immensely proud of that 2 centuries after the Scottish Enlightenment we are still at the cutting edge of human endeavour. That we can be in the forefront of almost any technological progress, subject only to our politicians not preventing it. Who knows the causes of this. The scientifically leading countries aren't all the richest, though naturally they tend to be. Hong Kong & Singapore, both small countries richer than us lag far behind us in citations per capita, Japan even further. The old Commonwealth and Scandinavian spheres do well as do those with a Presbyterian culture so perhaps Scotland, at their intersection is not so surprising. But if we should be proud of having inherited such a culture from our ancestors how deeply shameful it would be not to pass it on to our descendants. How shameful that this does not engender the media respect that Olympics do. How shameful it is that our politics now revolve around a referendum on "independence in Europe" rather than the fact that, for the first time in 700 years, our education system is no longer better than that south of the border. "Look down there. Tell me. Would you really feel any pity if one of those dots stopped moving forever?" My favourite wrong movie line. Like the fella says, in Italy for 30 years under the Borgias they had warfare, terror, murder, and bloodshed, but they produced Michelangelo, Leonardo da Vinci, and the Renaissance. In Switzerland they had brotherly love - they had 500 years of democracy and peace, and what did that produce? The cuckoo clock. There may indeed be an argument that warfare stimulates progress (looking at the progress of aircraft between 1914 & 1945 compared with the rather more than 31 years since America beat Russia to the Moon would do) Switzerland and Renaissance Italy isn't it. And incidentally the Swiss invented rather more than the cuckoo clock. This has been a public information and get it off my chest statement following some stuff I have and will be publishing about this admirably boring nation. In the form of a public debate with 3 speakers a side.